Mag Instrument's Mini Maglite is a flashlight with an aluminum alloy case whose light you can focus from an intense spotlight to a wide flood beam, making it versatile. The company recommends that you periodically inspect the Mini Maglite, removing batteries once a month to make sure they haven't leaked corrosive material inside the flashlight, and storing the batteries separately if you use the flashlight once a month or less. If the flashlight doesn't turn on or stay on, you can troubleshoot it. Twist the head of the flashlight to turn it on and control the size of the beam. If it doesn't turn on or if it fails to stay on, there could be a problem with the bulb or the batteries. Twist the tail cap to remove it, and let the batteries slide out. Examine the metal battery contacts inside the flashlight to see if they are corroded from leaking batteries. If you used alkaline Eveready, Duracell or Rayovac brand batteries and they leaked inside the flashlight, you can return it with the batteries to Mag Instruments or an authorized Mag warranty service center for a free replacement flashlight. For details, go to the Mag Instruments About Flashlights website. 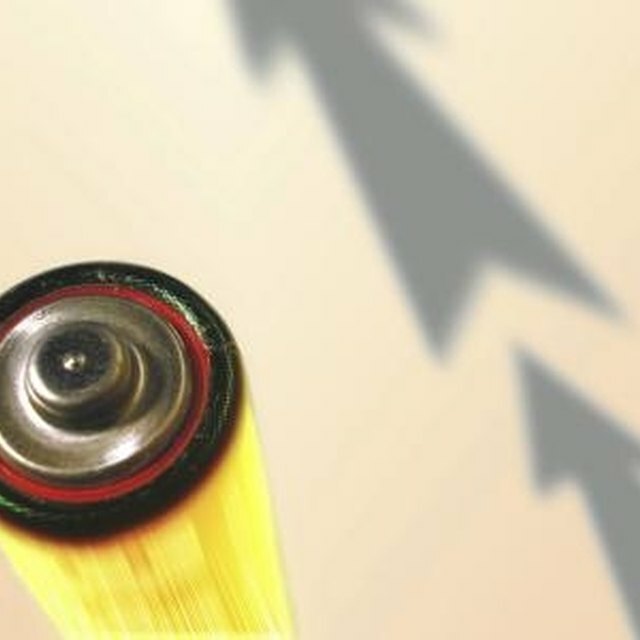 If you used batteries with a different brand, Mag Instruments will charge a fee to replace the flashlight. Replace old with fresh batteries if there's no sign of corrosion, and twist the tail cap back to close it. Twist the head of the flashlight to turn it on. If the light doesn't activate with fresh batteries in place, inspect the bulb. Unscrew the Mini Maglite's head assembly. Gently pull the lamp from the socket. Replace it with a fresh bulb, which you can buy from Mag Instruments by visiting the Maglite Spare Parts website. Line up the new bulb pins with the socket holes and gently push the new bulb in place. If the flashlight still doesn't work after you install fresh batteries, find no corrosion and replace the bulb, return it to Mag Instruments or to an authorized Mag warranty service center for repair or replacement according to the terms stated in the limited lifetime warranty that comes with your flashlight. How do I Diagnose Ballast Issues?